Fantasy and romance are a unique combination that continues to draw viewers, as the genres are dependent on two things: characters and setting. 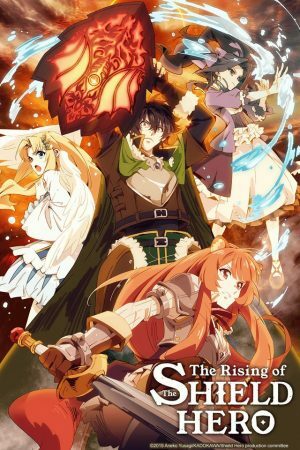 Of course, there are plenty more aspects that go into a great fantasy romance anime, but without enjoyable characters or a unique setting, the anime becomes either a typical or boring tale of love. But with a perfect blend of the two, this genre can dominate an anime season! We’ve already brought up several of the most endearing fantasy romance anime over the years, and if you haven’t read those articles yet, you can scroll further down! Since so many new anime come out each year, we’ve decided to recreate our list with newer series, even incorporating a few anime from the past year. We’ve ranked them based upon how realistic and emotional the characters’ relationships are, as well as how engrossing the setting is. 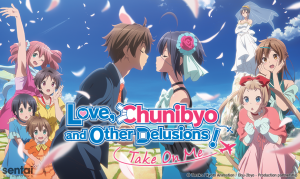 Please enjoy our latest list for fantasy romance anime you should check out! 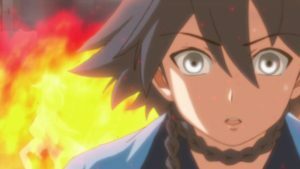 Arata Kasuga finds that his entire town and everyone he knew has been destroyed one day, thanks to the “Breakdown Phenomenon” where the red sun stops shining. Because of a magical grimoire his cousin Hijiri Kasuga gave him, his world is artificially replaced. But when Lilith Asami appears before him and threatens to take the book away, Arata must join the secret magic school known as the Royal Biblia Academy and work together with the seven elite magic users of the school to save everyone! 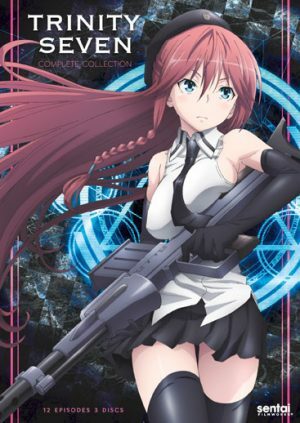 Trinity Seven is a part of a fantastic world. 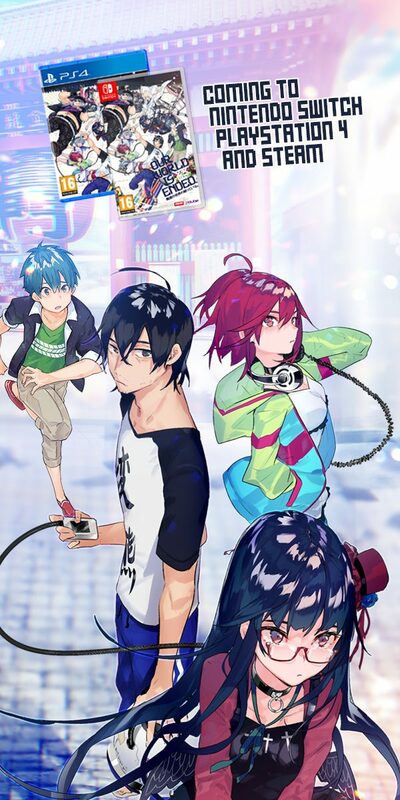 Arata and the other characters he works alongside grow and change in their relationships with one another throughout the course of the series. The characters and the world itself all seem realistic, easing viewers into the setting. And of course, there is quite a lot of fan service! 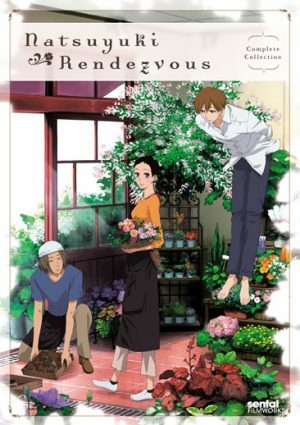 Though this may not be the most traditional sense of a fantasy romance anime, Arata and his comrades are all likable characters and make the small romantic moments worth watching in this show. 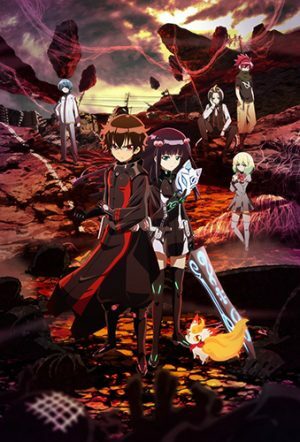 Benio Adashino, a young prodigy exorcist, stumbles into another young exorcist named Rokuro Enmadou on her way to the summons of the Exorcist Union. They work together, along with the other exorcists, to deal with the impurities of the parallel realm Magano. When Benio tries to save a couple of children being taken by a Kegare monster, she ends up getting more than she bargained for. Rokuro saves her, revealing himself to be just as talented as Benio is! These two are destined to become the “Twin Star Exorcists,” and the future parents of the prophesied child who will save the world. Sousei no Onmyouji is an action-filled story following the destiny of these two, Benio and Rokuro. 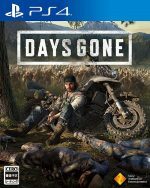 The series centers on the growing relationship between the characters, as they learn to balance each other’s weaknesses and strengths. Unfortunately, the length of time spent to develop this relationship leaves many of the supporting characters behind, but as for Benio and Rokuro, we get to know them quite well. 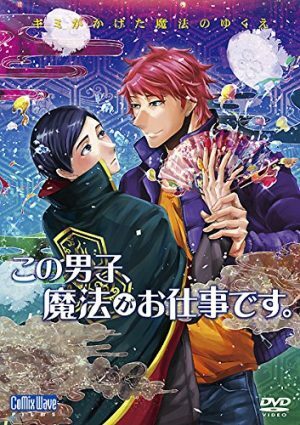 Sousei no Onmyouji is a detailed romance tale set in a mystical world, one we recommend you try! 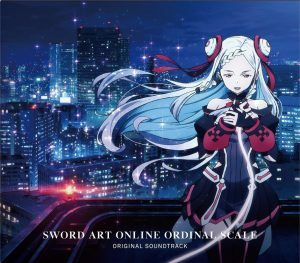 Sword Art Online Movie: Ordinal Scale introduces a few new characters while keeping all our old favorites. 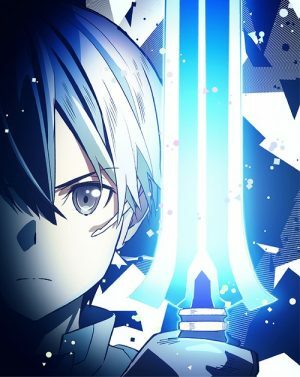 This movie reminded us of everything we loved about the original SAO series, revitalizing it with an interesting story and beautiful graphics. The soundtrack and action are grand as always, and with Asuna and Kirito finally getting some romantic closure, it is a much better example of romance than in the series’ past. Naofumi Iwatani is an average otaku summoned into the mystical world Melromarc. Though he is summoned as one of the four otherworldly heroes, Naofumi is considered the weakest due to his inexperience and use of only a shield. He only has one companion, the lovely princess Malty Melromarc. Yet one day, she betrays him and steals everything he owns, claiming to the public that he took advantage of her. For his crimes, he is seen as a criminal, setting out on his own with a heart full of revenge. This series starts out as a rather typical isekai anime. However, with the growth of the characters over time, the show quickly grows on you! Tate no Yuusha no Nariagari is a promising new anime indeed. Follow along with Naofumi and see how his journey will turn out. We certainly will be! 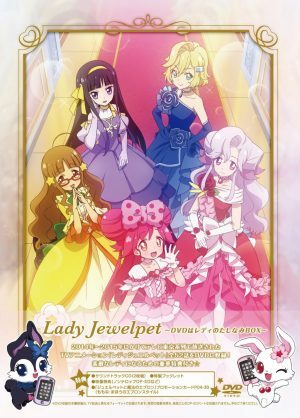 Lady Jewelpet may have been targeted at a younger audience, but it is a great fantasy tale regardless! Momona and Lillian are both fighting for the same title of the next Lady Jewel, as well as fighting over Prince Cayenne. The art style for this anime is gorgeous and really lends itself to the themes of romance as well. The relationships between the characters develop so well throughout the story, lending to a really beautiful tale. This anime is cute and enjoyable, even with a few darker moments in the mix. In the time before Sora and Shiro come to Disboard, war is rampant across all the races. 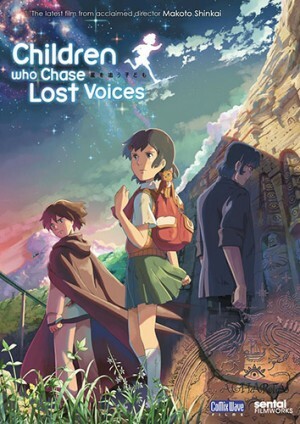 Humans are on the edge of extinction because they possess little power of their own, and Riku has been scouring the world to find a solution when he comes across a female Ex-machina, which he names Schwi. Schwi was exiled from her people because she has been researching human emotions, and decides to accompany Riku to learn even more. Riku and Schwi become an unlikely pair, each learning what it truly means to be human in the midst of this great war. 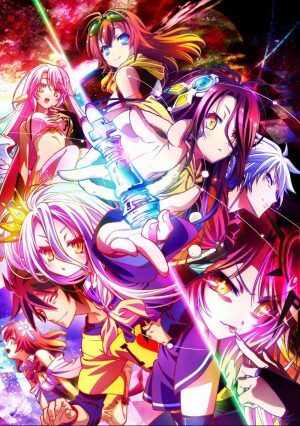 No Game No Life: Zero is a movie that surpasses its anime predecessor, both in the scope of its storytelling and the relationships between characters. Riku and Schwi not only find an ally in one another, but they also find a life partner! No Game No Life: Zero tells the story of what happens in Disboard during the war to find the “one true god” of all the races. 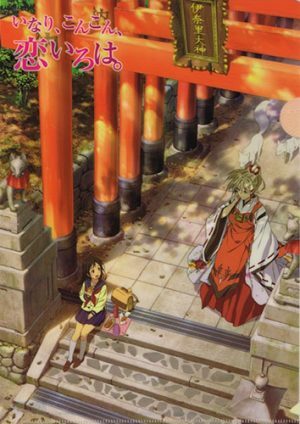 Though it’s helpful to have background knowledge of the world from No Game No Life, even newcomers can get a grasp on the setting enough to enjoy the movie. This is an emotional tale of love and sacrifice, one that is well worth watching! Sakura Kinomoto is just an average fourth grader until she finds a strange book hidden away one day. She unwittingly releases the Clow Cards within the book out into the world and awakens the Beast of the Seal, Keroberos, who informs her that she must get them all back! The Clow Cards are incredibly powerful, and Sakura has to recover them before they do real damage. 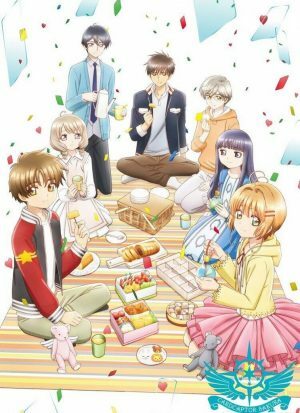 With Keroberos guiding her, and the help of her best friend Tomoyo Daidouji, Sakura must balance her new role as the Cardcaptor with that of her everyday life from before. She is reluctant at first, but she soon comes to embrace her new role, and enjoy the adventures before her! Cardcaptor Sakura is an endearing classic, incorporating fantastical elements into a real-world setting. Sakura’s rival Shaoran Li is attempting to gather the cards before her, but he eventually starts to root for her instead. The way these characters grow to care about one another and how their relationship progresses over time are some of the best parts of this series. If you haven’t already seen Cardcaptor Sakura, watch it right away—it is considered a classic for a reason! Shirayuki is a bright and happy girl who works every day at an herbal shop as an apothecary in Tanbarun. When the Prince Raji notices her and forces her to become his concubine, Shirayuki rebels, escaping into the forest only to be rescued by another prince, Zen Wistalia. 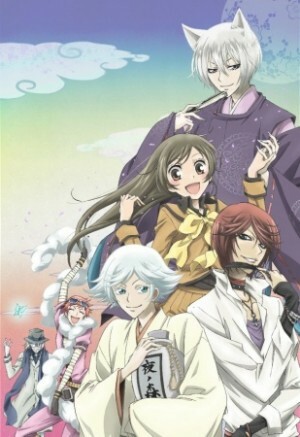 To repay her debt to the prince, Shirayuki decides to become the court herbalist for his country, Clarines. 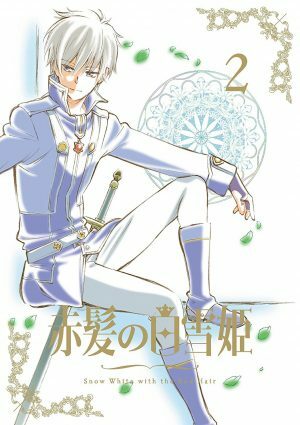 As Zen strives to become a prince worthy of his title and Shirayuki works toward her own future, the two will find they are much stronger together! Taking place in a classic fantasy setting, Akagami no Shirayuki-hime is a lovely tale. 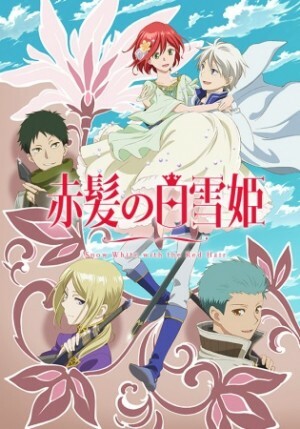 Throughout the series, the characters grow together in their relationship, contrasting sharply from the sudden forced partnership we see for Shirayuki at the beginning of the show. This is an interesting tale of romance, even as the characters learn to find their own path in the world. As a tribute to the classic story of Snow White, this anime far exceeds expectations! Chise Hatori is a 15-year-old Japanese girl who has lost all hope for herself. She sells herself off the highest bidder just to find a place to go home to, but she ends up being purchased by a tall masked gentleman, who reveals himself to be a Magus. He whisks her away to his cottage in the England countryside. 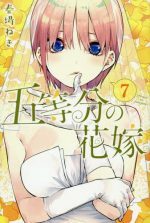 Chise quickly discovers that this strange man intends to make her not only his apprentice but his bride as well! When the marriage of Sir Alexis Douse and Lady Marrine Kreische is foiled by the Great Hall Tragedy, the planned peace between the Fantasia Union and Factory Alliance is destroyed, prolonging the war for control of the land. Chaos reigns across the countryside, summoning dark monsters and demons to attack the people. Siluca Meletes is traveling through the country after her failure to prevent the Great Hall Tragedy, heading to a contract with one of the lords as a personal mage. She is attacked by a group of soldiers, but is quickly saved by a wandering lord named Theo Cornaro. Siluca is impressed by Theo’s goals to liberate his homeland, and pledges herself to his cause instead, setting them both on a journey to rid the land of Chaos. 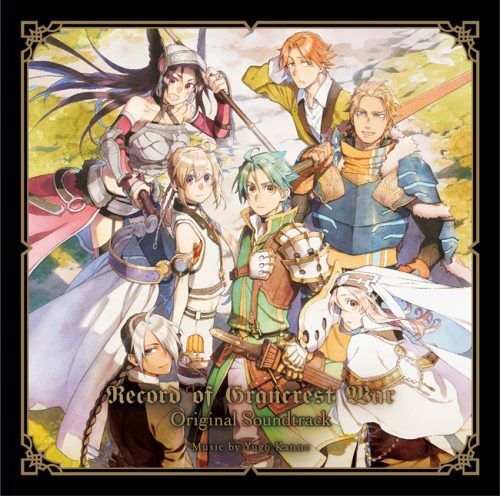 Grancrest Senki is completely deserving of our top spot on this list! It incorporates classic high fantasy themes in its setting and characters, as well as plenty of realistic romantic relationships, especially when it comes to Siluca and Theo. 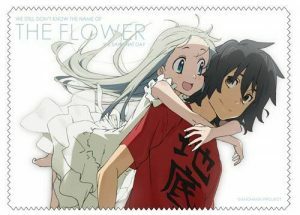 Their relationship is solid from the beginning of the series, keeping them solidly together amidst all of the turmoil. 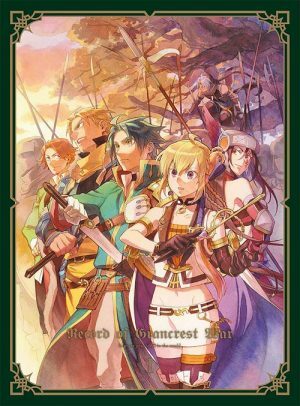 There are plenty of other relationships that develop throughout the series as well, making Grancrest Senki feel like a real and vibrant world. These are some of the best fantasy romance anime from recent years! With elements of mystical, mysterious worlds and realistic, endearing characters, any one of these anime would be a great option for the upcoming Valentine’s holiday. We hope you enjoyed our updated list! What are some of your favorite fantasy romance anime? Share your thoughts in the comments below, and we look forward to seeing you in our next article! There’s something about romance anime that resonates with viewers. The happiness and sorrow of being in and out of love, the passionate feelings behind the characters, or the butterflies and intense, heartfelt moments we share with each character. 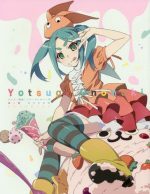 Daydreaming and drifting off into an imaginative world, fantasy romance anime are filled with excitement, drawing people away from the dull reality of routines. Far off into a fantasy story, there’s adventure, fun, and tons of thrill. So, we present ten recommendations for the best fantasy romance series. We know there are so many more exciting, lovey-dovey shows, but here’s what we’ve gathered so far! Here we go! Can you keep a secret? Apparently, Asahi Kuromine can’t! Asahi is a normal high school student who has a major crush on Youko Shiragami. One day, Asahi discovers a surprising truth about his crush, she is a vampire! To keep the family secret, Youko’s father wants her to transfer schools, but Asahi doesn’t want her to leave. Promising to keep her secret, Asahi finds this challenging. Moreover, Asahi learns that his other classmates have more to them than meets the eye. 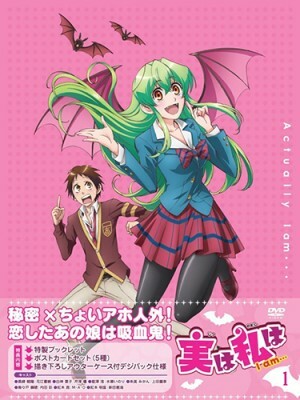 With a simple and intriguing story, Actually, I am… is an excellent supernatural fantasy anime that is lighthearted and refreshing. Additionally, the characters bring the story to life, having viewers rooting for their favorite. 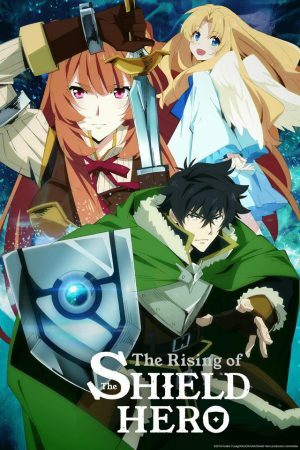 Furthermore, this fantasy romance anime is one that’s flown under the radar and needs to be added onto that watch list. Utsumi Toyohi and Chiharu Kashima meet at a bar. Toyohi goes up to Kashima, seeing that he’s drinking alone and orders the same drink. To ease the awkwardness, Toyohi asks Kashima what he does. Kashima replies that he is a wizard. Toyohi is amazed at Kashima’s occupation, as he always wanted to be a wizard. Toyohi is someone who never stays in one place for a long time. As he moves into town, Toyohi believes it’s time for him to settle down. Always living life in the fast lane, he comes onto Kashima swiftly. Caught off-guard, Kashima doesn’t know how to reply. How will their lives change now? In four episodes, Kono Danshi, Mahou ga Oshigoto Desu. was executed very well, sharing a deep romance and captivating story. The colors are magical, very animated, and eye-catching. With lovable characters, it is easy to be swept away by this whirlwind romance. Jiang Hao Yi is a regular high school student. He leads a simple life, a peaceful one, and wouldn’t have it any other way. If his life could remain this way forever, he would be content. However, things change when the beautiful Zitong Xia walks into his class and Jiang quickly realizes that she is there for him. She has an embarrassed look on her face, and hesitantly drops a drama bomb on him, “I have your baby.” From this event, all eyes are on Jiang. As the entire school is out to get him, Jiang must fight off all this unwanted attention; from his jealous guy classmates to several ladies, who now find him more desirable than before. Jiang is a guy who has flown under the radar for most of his teenage life. In what may seem like a dream come true for many, Jiang has fallen into some misfortune, as a bunch of beautiful girls are throwing themselves at him, disrupting his perfectly normal life. To restore his life, he must deal with having to resolve his counterpart’s issues. A seemingly simple plot line, Cupid's Chocolates is riddled with countless twists, comedy, romance, and fanservice. Inari Fushimi is not the brightest crayon in the box nor is she very graceful. But what Inari lacks, she makes up in being compassionate and considerate of others. Inari has a big crush on Kouji Tanbabashi, who she admires for being everything that she is not, and has significant difficulties in expressing her feelings for Kouji because she is painfully shy. One day, on the way to school, Inari saves a fox pup from a near-accident. Uka-no-Mitama-no-Kami, the god of the Inari Shrine, is thankful for Inari's kindness toward the fox, who turns out to be a familiar named Kon. Granting Inari her wish as thanks, this gift is more trouble than it’s worth. Furthermore, Uka-sama bestows upon Inari a portion of her divine power, giving her the ability to transform into anyone. With the power of a god, Inari is faced with exciting and perilous adventures, as well as her romantic challenges to boot. Inari Kon Kon is a sweet and heartwarming anime with a deep progressive story and fantastic characters. Inari Kon Kon’s plot is surprisingly enlightening, providing relatable moments and experiences. Viewers can empathize with the sweet and innocent romance, as well as the supernatural element, taking this imaginative journey one step further. 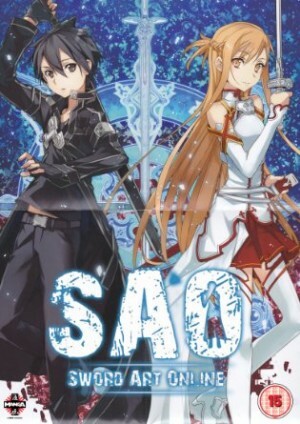 Sword Art Online is the story of a massive release and gameplay for the virtual MMO game, Sword Art Online. Highly popularized, with media throwing itself into a raving frenzy, gamers anticipated the day when the game was finally out to play. As it arrives, participants enter the game, having a blast until they realize there is a “glitch”; the game doesn’t have a “logout” button. Causing a great deal of confusion, everyone gathers at the common area, where the Game Master Akihiko Kayaba confronts them. The GM announces that he purposely did not make a ‘logout’ button to test players’ strengths and abilities. Moreover, as the virtual world affects them wholly, harm inflicted would take effect in the real world. Many are frightened by this circumstance, but emerging from the ranks, Kazuto “Kirito” Kirigaya takes the lead, knowing gameplay as a beta tester. Here, we watch Kirito face various challenges, meet new players, and gain levels and experience. One of the most exciting things about MMOs is that these alternate worlds take the individual out of the monotonous reality of stressors and schedules. One fascinating element of some MMOs is the opportunity to marry one another. In SAO, Kirito marries Asuna Yuuki. As the game has adverse effects in a matter of life or death, Kirito is the kind of person who is wholly devoted to the mission at hand, utilizing all his efforts and talents to accomplish his aims. Asuna operates the same way, unable to forsake anything or anyone in need. How romantic! 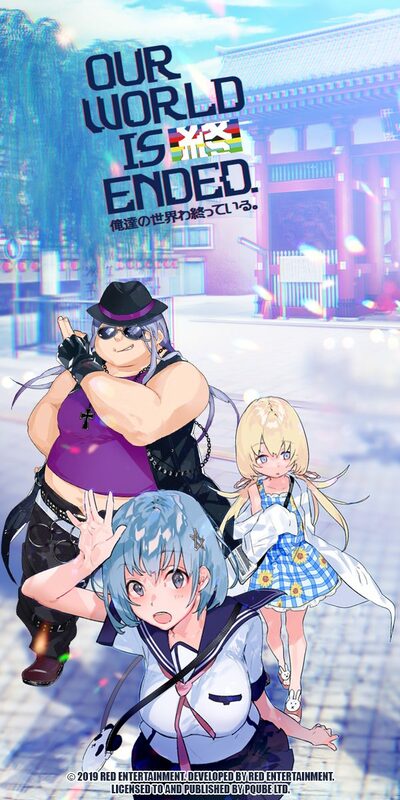 Soredemo Sekai wa Utsukushii takes place in the Sun Kingdom, where sunshine is part of the norm and such things as rain and snow are climates the citizens have never experienced. However, in another kingdom called the Rain Dukedom, the weather is opposite, rain is commonplace, and everyone can create rain with their voices. Livius Ifrikia is the current monarch and is making tremendous strides since he was crowned king. He has conquered and expanded the Sun Kingdom and has recently discovered the power to create rain. 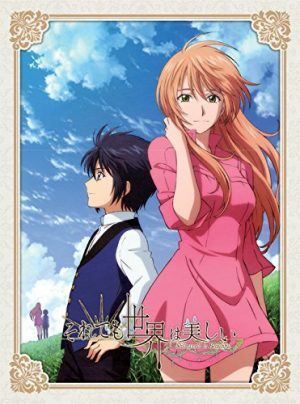 Livius decides to marry one of the princesses of the Rain Dukedom, Nike Remercier. However, opposers outside of the Sun Kingdom have spread vicious rumors about Livius, making Nike nervous about their union. As such, Nike comes to learn that he is not cruel like others have said, but an entirely different person. The World is Still Beautiful shares the story of a timeless tale of two kingdoms coming together by way of romance. This fantasy romance anime shares a deep and meaningful story without too many complexities. It provides obstacles and triumphs faced in many relationships, showing viewers Liviu’s and Nike’s growth within themselves and with each other. Furthermore, it demonstrates that romance does make the world beautiful. 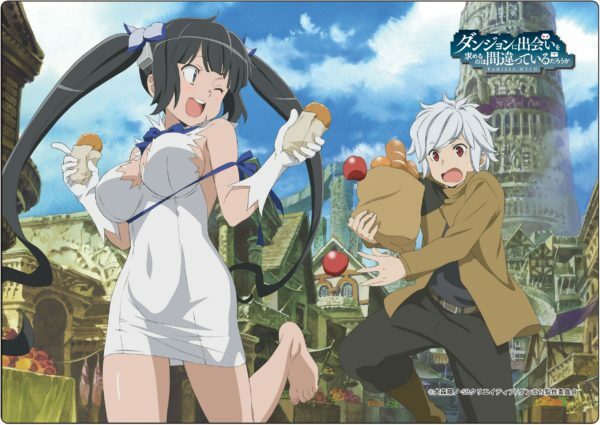 Is It Wrong to Try to Pick Up Girls in a Dungeon focuses on Bell Cranel’s life in the bustling city of Orario. Living is a challenge for the citizens, as gods and humans must learn to coexist, especially when there’s often conflict and obstacles. Bell aspires to become the greatest adventurer ever and has the opportunity to do so after encountering the goddess, Hestia. With her help, Bell embarks on a journey venturing within Orario’s monster-filled “Dungeon.” What awaits Bell in this story is excitement and adventure! So, Is It Wrong to Try to Pick Up Girls in a Dungeon? To answer the title question, no, it is not wrong to try to pick up girls in a dungeon because it makes Bell’s quest all the more exhilarating! 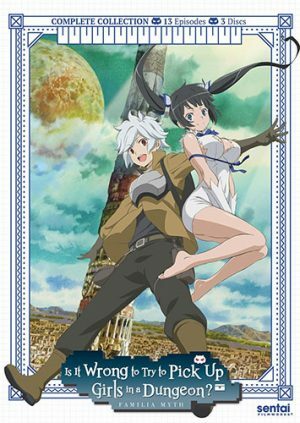 Also referred to as Danmachi, this anime is a fun fantasy action adventure comedy with a good dose of fanservice. Bell’s journey is what brings this series to life, and his encounters with various buxom beings make the viewing experience more excitable. Kobato Hanato is a cute, sweet and innocent girl who came to Earth to complete her contract: to collect and fill a bottle with “konpeito,” a substance that appears after healing the heart of a person who is suffering. When she finishes her task, she can go to a specific place. Kobato is very suited for this mission because of her sincerity and kindness in helping others. However, Kobato is not allowed to fall in love with those she meets. 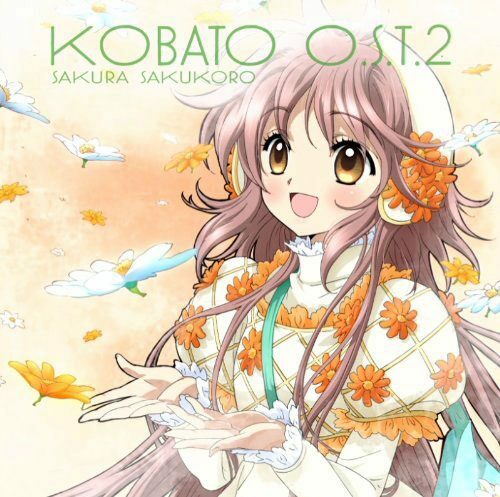 Kobato.’s artwork, setting, and the storyline are very romantic, a picturesque fairy-tale. 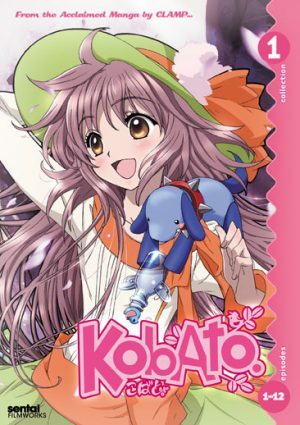 The task Kobato needs to complete encompasses the themes of fantasy and romance, so this anime was a natural choice for this list. Kobato is indeed an inspiration, taking a lot of time and care into making others happy and whole. This fantasy romance anime is lovely and heartwarming. 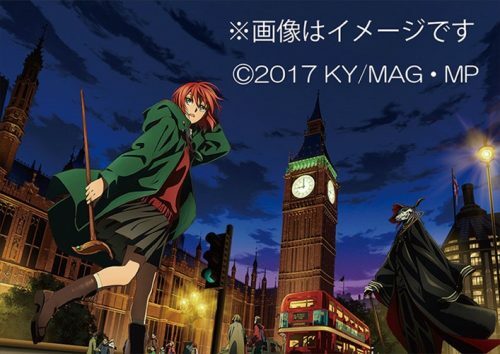 The story of Mahoutsukai no Yome centers on a young girl named Chise Hatori. 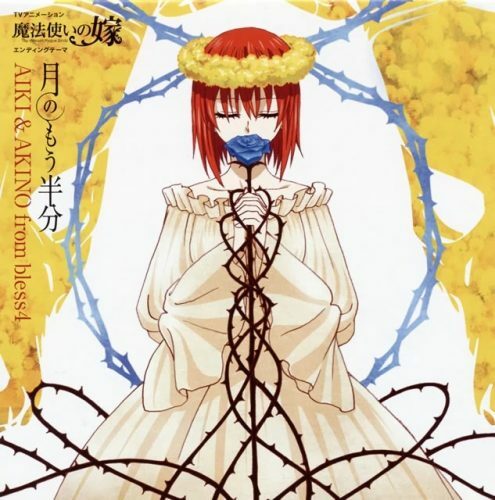 At 15 years old, Chise is auctioned off as a slave with her final bid being five million big ones. 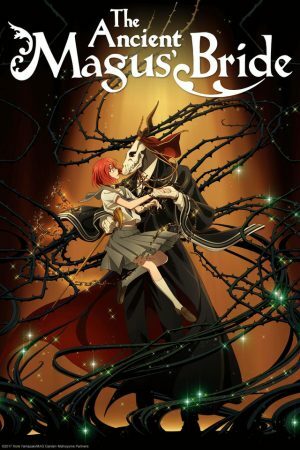 The highest bidder, a tall, masked and cloaked gentleman known as the notorious magus, Elias Ainsworth, claims his prize and takes Chise away to his small cottage in rural England. The duo commences a new and exciting magical life together, with adventure and mystery waiting at every turn. As a peculiar child, it was fate and fortune that brought Chise and Elias together. With 24 episodes in total, this series gives us time to unravel the story, patiently revealing the budding relationship between apprentice (future bride) and mentor. The overall animation and soundtrack are fantastic, really setting the mood for this magical and lively reality. Moreover, the way Chise and Elias interact with one another is very “Beauty and the Beast,” having many of us invested in this Disney-like scenario. 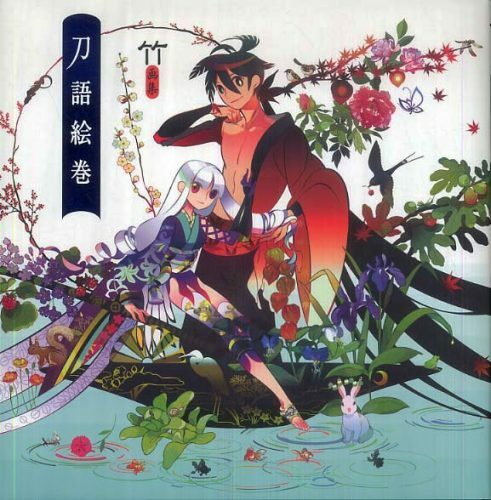 Katanagatari is the story of Shichika Yasuri, a swordsman who fights without a sword. The story also highlights the life of Togame, a strategist who seeks to collect 12 legendary swords for the shogunate. At Togame’s request, Shichika must embark across the lands of Edo Japan to locate the Deviant Blades. To succeed, Shichika and Togame must triumph against their formidable opponents, conquering them with their unbreakable bond. 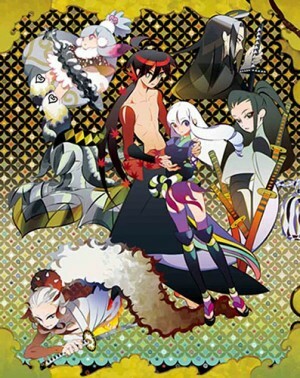 Katanagatari is an enjoyable fantasy romance anime that takes viewers on an adventure around Edo period Japan. The characters bring this historical story to life, with riveting action sequences and deep and engaging dialogue between Shichika and Togame. Tons of plot twists, comedy, and a classic, epic love story, Katanagatari is a very memorable fantasy romance anime. We hope you enjoyed our recommendations for top fantasy romance anime! If you haven’t already, make sure to check out all of these great titles! As always, we truly appreciate you guys tuning in. Also, let us know if we’ve missed any other great fantasy romance anime by commenting below! Thanks, and see ya! Human beings always strive for perfection. Even if we may not be perfect and have many obvious flaws, many of us crave for perfect partners who will not let us down and amaze us in every way. Since perfect human beings do not exist, some of us wish for heavenly beings as our partners instead, such as angels, fairies and goddesses, or even the underworld beings such as vampires, werewolves, and demons. 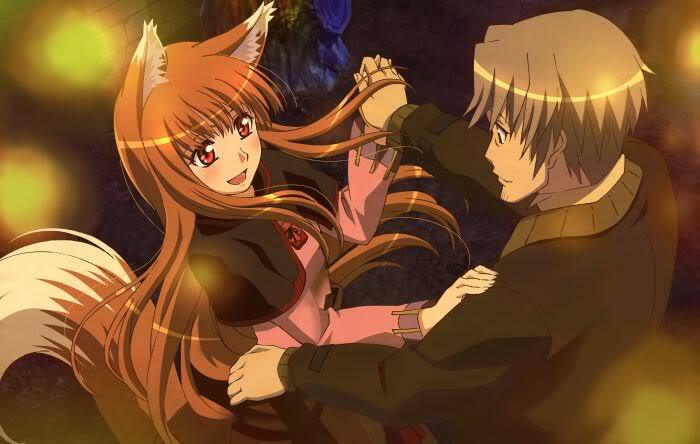 Anime provides us many stories which explore such relationships involving the fantasy world, so read on to know 10 of the best fantasy romance anime! Louise is the dimwit (or noob) student in her class in Tristein Academy, which is a school for magicians. 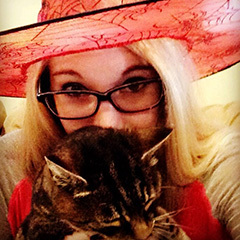 Her failure at casting spells for several years have earned her the nickname “Zero Louise”. An upcoming test in her school requires her to summon a familiar, a servant and a magician. 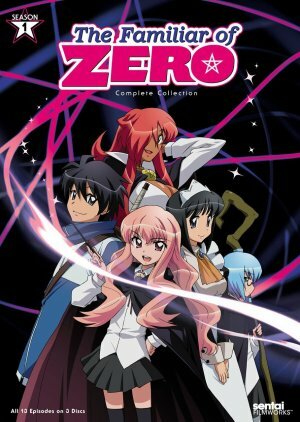 Even though she wants to summon a familiar who will be superior to her classmates, she ends up summoning an average Japanese school boy named Hiraga Saito. This is a love fantasy theme which features a young magician girl and an ordinary boy. If you like Harry Potter, then you will be interested in this series which features a similar magician school that involves magic wands and idiosyncratic professors! The two lovebirds may not get with each other along at first due to different expectations, but it turns out that two different beings with contrasting personalities can get along after all! After the death of her father, Asuna is left with her mother who works as a nurse at a hospital. During her free time, she will be listening to strange music from the crystal radio given by her father. While Asuna is on her way to her clubhouse one day, she is attacked by a strange monstrous creature. Luckily for her, a mysterious boy named Shun, saves her life. After Asuna tends to Shun’s wound, he reveals that he is actually from another country called Agartha. In school, Asuna learns from the substitute teacher, Morisaki, that Agartha is the land of the dead. There is much to be explored in this story. Not only does it tells about the story of young budding love, but is also teaches about learning to let go of the past, such as a loved one who has already passed away. Due to not being able to accept the death of his wife, Morisaki sets on a risky adventure to revive his wife. However, if the dead is not really dead, then what purpose does death serve? In the island of Neo Verona, Leontes Montague and his men murder the whole family of Capulet. However, Juliet who is the only daughter of Lord Capulet, manages to escape from being murdered. After 14 years, Juliet is now 16 years old and cross dresses as Odin and the town’s masked vigilante goes by the name Red Whirlwind. While attending a ball, Juliet happens to meet Romeo Montague whose kind demeanor is opposite from his father, and they both fall in love with each other. From the title of the series, one can make a good guess that the series is loosely inspired by the work of William Shakespeare. 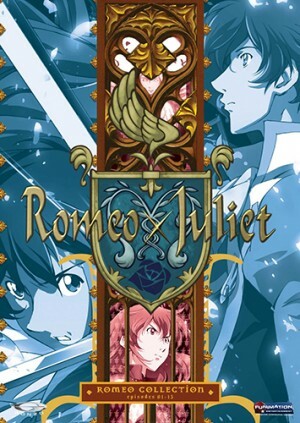 Therefore, if you would like to see a unique twist to the classic tale, you should definitely watch Romeo x Juliet. Romeo x Juliet is a romantic tragedy of two young people from conflicting families, with a touch of fantasy elements such as flying horses. Both Romeo and Juliet are young with strong and bold personalities which sort of result in a non-sappy kind of romance which may seem more like an innocent infatuation rather than a mature, passionate love. 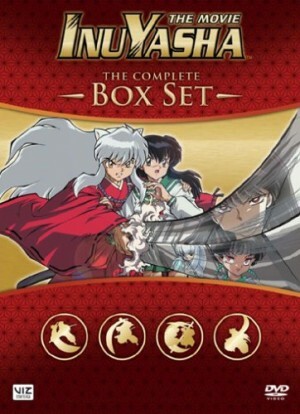 Kagome Higurashi is a young girl who is dragged down a well by a demon. Once she lands on the ground, she finds herself to be 500 years in the past. While trying to escape from the demon, she releases a half-demon named Inuyasha by removing an arrow pinning him to a tree. Inuyasha defeats the demon but the Shikon Jewel possessed by Kagome which is the target for demons, is shattered to pieces. The world is apparently filled with demons, half-demons, and powerful monks 500 years ago. Kagome is the modern incarnation of Kikyo, and both of them look alike! Despite that, both of the girls have very different personalities. Inuyasha has feelings for Kikyo but upon seeing Kagome who is a spitting image of Kikyo and traveling together with her, Inuyasha seems to fall for her too. 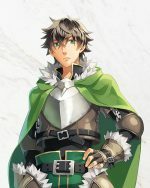 In medieval times, Kraft Lawrence is a 25-year-old merchant who travels from town to town and he has been doing so for 7 years. His aim is to gather enough money so that he can have his own shop. One day, when he stops at Pasloe town, he meets a wolf deity named Holo. She has the tail and ears of a wolf, but otherwise appears to look like a 15-year-old girl. She claims to be the goddess of harvest who wants to go back to Yoitsu. Being that she is a deity of non-church origin, she also faces negative attention from the Church. 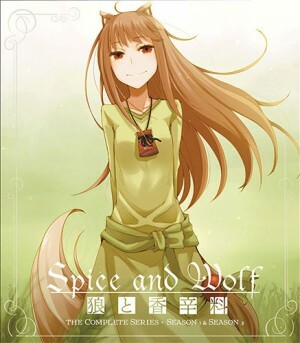 Spice and Wolf is a story set in a fantasy medieval world where the word of the Church is important. As the duo travels together, romantic feelings slowly develop between the two instead of it being love at first sight. The series also combines economics so the audience will get to learn about trading such as bartering and negotiating. It can be pretty dialogue-heavy but at least you get to learn useful information instead of pointless chatters. Sophie Hatter is the 18-year-old daughter of a hatmaker, and she is content with her simple life working in the hat shop. While on her way to visit her sister she encounters The Witch of the Waste, who casts a spell on Sophie and turns her into a 90-year-old woman and she cannot tell anyone about it! 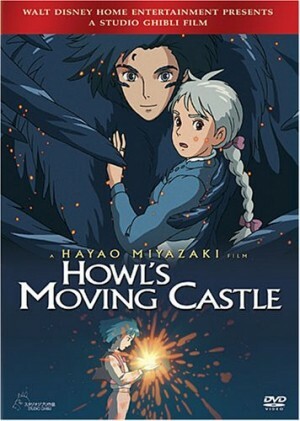 In search of a cure, Sophie is led to Howl’s castle which is home to a wizard named Howl. Howl is known for both his magic capabilities and womanizing tendencies. How would any young man fall for a 90-year-old woman? Sophie harbors some feelings towards Howl but nevertheless, she is not really an old woman so she still has a chance to have her love reciprocated once she returns back to normal. As she cannot tell anyone about her predicament, she has to be discreet and find a way to break the spell that changed her life for the worst! 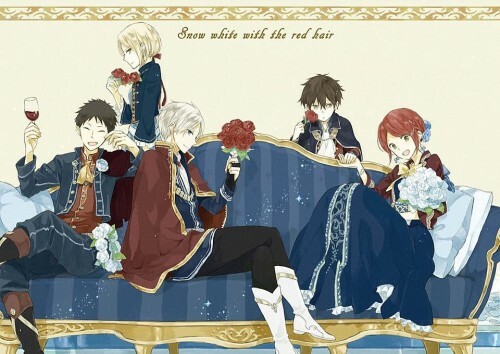 Shirayuki may mean Snow White, but instead of jet black hair, Shirayuki is blessed with striking red hair. She works as a pharmacist in the country of Tanbarun. She gets into trouble when she is noticed by Prince Raji who wants to make her his concubine. Due to this reason, she cuts her hair, flees to the forest and meets Prince Zen Wistalia of the neighboring country, Clarines. Despite the anime title being inspired by the classic fairy tale, Shirayuki is not a main female character who relies on a prince to save her. Thus, it is not a love story which involves a damsel in distress, but a strong-willed and capable female lead. Zen does not fall in love with Shirayuki just for her beauty, but because he admires her and genuinely likes her personality. 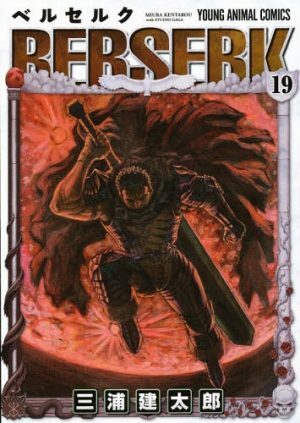 Even though the story is set in a feudal era which features majestic castles, do not expect epic sword battles in the story. To avoid being responsible for gambling debts, Nanami Momozono’s father runs away, leaving poor Nanami alone and homeless after being evicted from her apartment. Nanami then saves a man named Mikage who is being chased by a dog, upon which the man offers her his home. 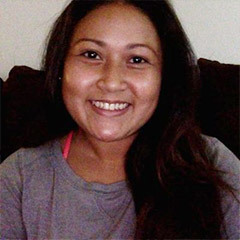 As she is currently homeless, she accepts his offer. However, it turns out that his house is a shrine as Mikage used to be an Earth Deity! 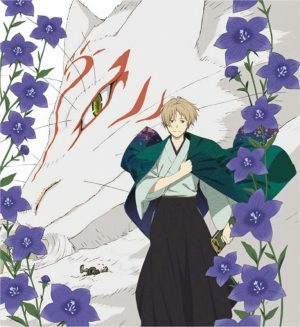 At the shrine, she has to take over Mikage’s position as deity and she also meets a fox spirit named Tomoe. The story tells about the relationship between a regular human being with a fox yokai. 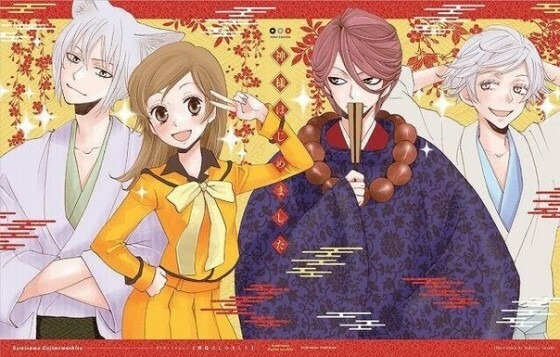 In the beginning, Tomoe is rather annoyed by Nanami but after some time, he begins to have feelings for her. The same goes for Nanami but the relationship between a human and a yokai may prove to be difficult and probably impossible. 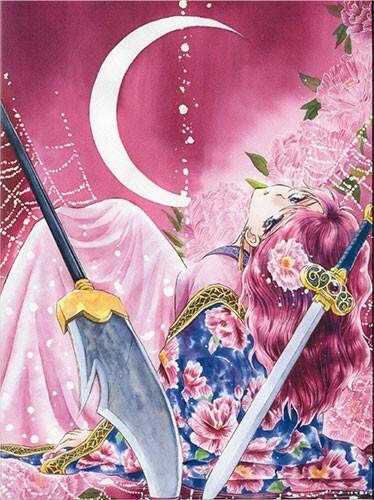 The story follows the life of Yona who is a princess in the kingdom of Kouka. She lives a carefree life filled with luxury in Hiryuu castle. On her 16th birthday, her father, King II is murdered by her childhood crush, Soo-won. Son Hak who is Yona’s childhood friend and bodyguard, saves her and brings her to The Village of Wind which is Hak’s birthplace. The perfect life of a princess is crushed when she is betrayed by her crush, which leads to a love and hate feeling for him. On the other hand, Hak seems to have feelings for Yuna since he was young, but suppresses it upon realizing that Yona is in love with Soo-won. 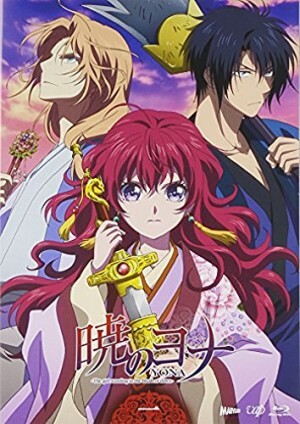 The adventure of Yona and Hak involves fantasy elements such as finding mystical legendary dragons. In the past, all humans lived on the ocean floor. However, there are some who prefer the surface world and moved to land. As a result, the people of the land were stripped of their ability to breathe underwater. Overtime, there is an obvious tension between the land people and sea people. 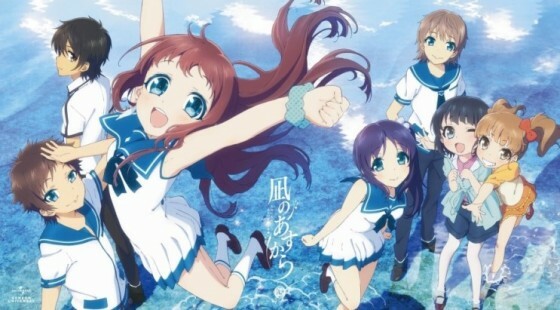 The story follows the adventure of 4 students, Hikari Sakishima, Manaka Mukaido, Chisaki Hiradaira and Kaname Isaki, who have to attend school on the surface world after their school in the sea closes down. 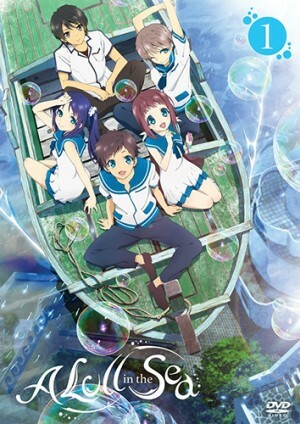 The romance in Nagi no Asukara is pretty unpredictable that upon watching the first few episodes, you cannot really tell which couples will end up with each other. The story explores the rift between the two types of humans, which is sort of similar to real world problems like racial discrimination. However, upon knowing each other, one truly learns that it is pretty silly to hate on others due to different ways of living. 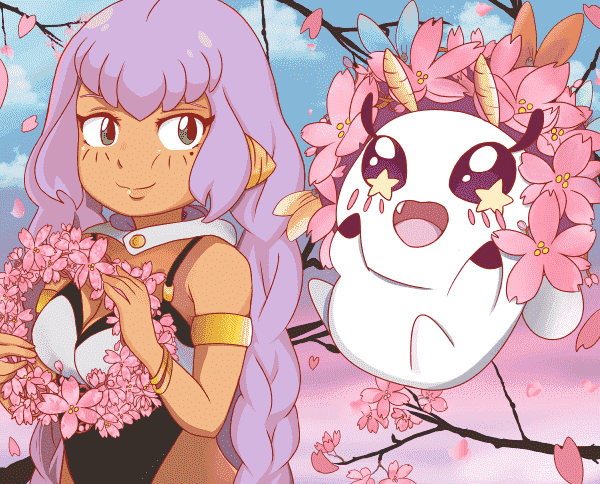 We have come to the end of this list, and we hope that you have found many gems for fantasy romance-themed anime series! Truly, nearly every one of us had at least dreamt of being with a supernatural, other worldly being, and while that fantasy cannot be fulfilled in real life, we always have anime to watch! 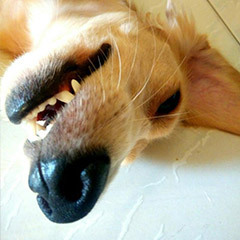 My ultimate dream is to be a pampered dog or a really cool anime character. Perhaps being an anime dog would work too.